This article by Rekuram Varadharaj was first published in People Matters. When you go from the occasional fitness week to a clearly defined H&W plan tailor-made to the needs of your workforce, you will see payoffs in unexpected ways. Here’s a round-up of 5 compelling reasons to tackle H&W with the same arsenal of focus, analytics, and planning you use for other business goals! While reduced employee healthcare and insurance costs are an obvious benefit of a sound H&W plan, it also has great potential to drive down other costs. According to “Staying@Work,” a report on employee wellness and productivity in India, companies with the most effective health and productivity programs clock 34% more revenue per employee than those whose health initiatives lack impact. “Presenteeism” – when a person comes to work but under-performs because of stress or illness – could also be tackled with strategic use of tools like diagnostics and thoughtfully timed wellness initiatives. Our industry experience confirms employee wellness drives performance by reducing lost productivity costs. A detailed population study of one of our own clients, a BFSI company with over 8000 employees across five locations, revealed an increased risk of anemia, diabetes, and hypertension – all of which could have potentially impacted an employee’s absenteeism and performance if it had gone undiagnosed. Crafting a full-fledged well-being strategy has a demonstrable effect on employee morale as much as productivity. Productive, engaged employees, in turn, help the business thrive. 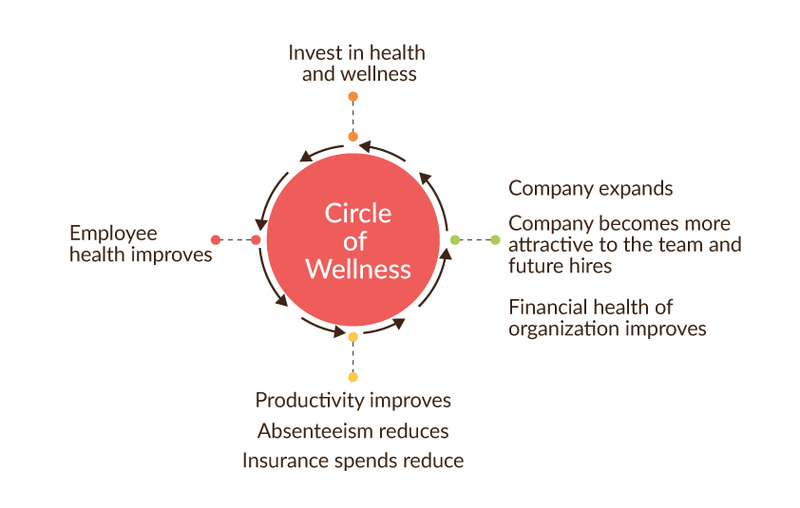 The result is a virtuous circle of wellness that boosts bottom lines and attracts more customers, thanks to enhanced business offerings. By investing time and effort in your H&W plan, you stand to see better brand value and, consequently, recognition in the industry. So how do you know you’re getting it right? Besides the ability to draw in great talent, third-party accreditation is a barometer. For instance, global healthcare non-profit Arogya World is committed to building “100 Healthy Workplaces” across India that meet criteria such as focus on employee fitness, access to healthy food, work-life balance, and more. Visibility from such initiatives can fortify your business identity. Making H&W synonymous with your employer brand can give you an edge when it comes to recruitment and retention as well. In one industry survey, ⅔ of organizations said employee well-being programs are a critical component of their employment brand/culture. Chalk out a strategy that puts H&W at the core of company benefits and make strategic investments so the plan sticks and is executed properly over the years – your employer identity will also see dividends as a result. H&W is increasingly a growing expectation among the talent that organizations want to recruit and retain. This is especially true of some segments like millennials as well as others who share this ethos and seek out wellness benefits. A well-designed H&W strategy can help organizations strengthen their social capital with this talent. 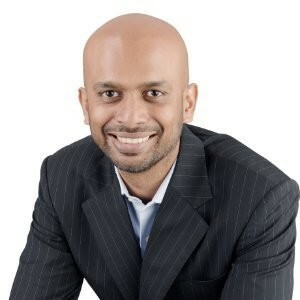 With well-being inching up the corporate agenda, right up there with productivity, inclusion, and citizenship, you need a structured health and productivity plan that is data-driven and insight-led. And with the right partners to take care of the logistics and personalization, it doesn’t have to be all-consuming or a “man-hour eater.” So, pull out that blueprint and chart the way for a robust program that reflects the blood and sweat behind it. The time is now! Workplace Goals That Are Keeping Leaders Busy!